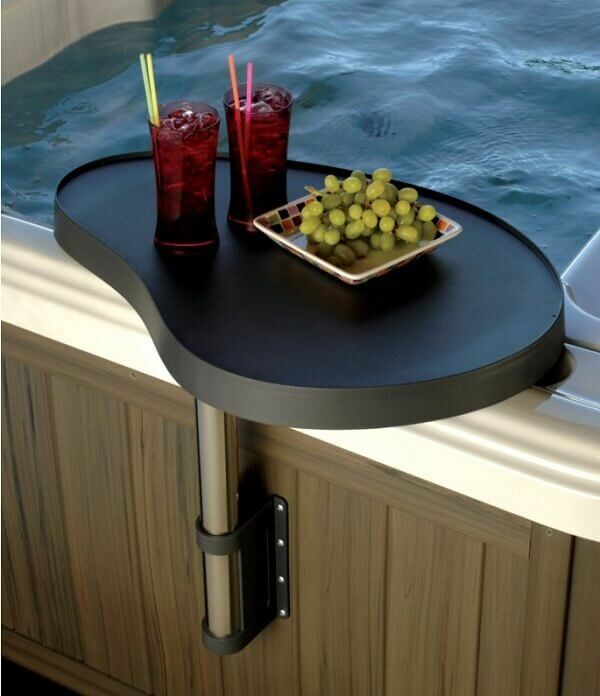 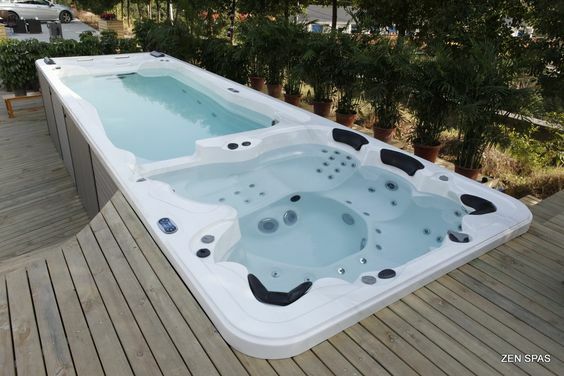 We all know that a hot tub is one of the most-wanted addition that will provide tons of benefits for our well being. 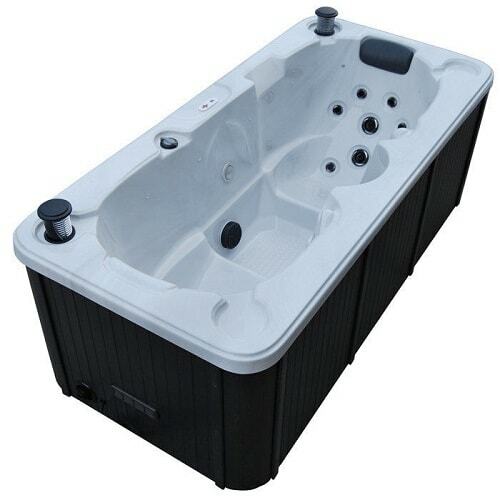 It has great features which are able to relax your stiff muscle, heavy heads, or even reduce the risk of serious health issues like stroke, insomnia, or stress. 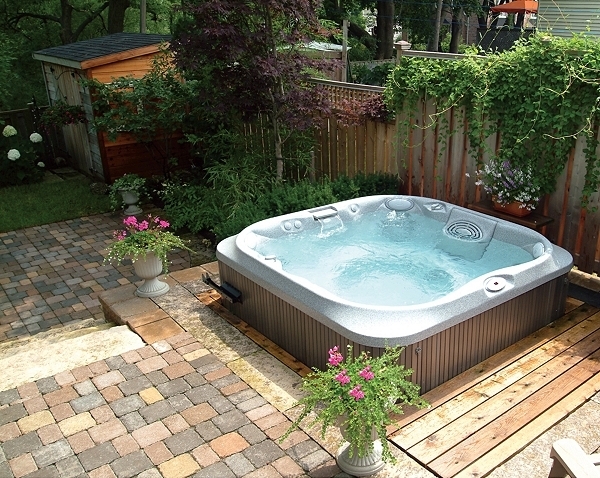 Once you have a hot tub in your own backyard, you can feel the joyful hydrotherapy experience anytime you want. 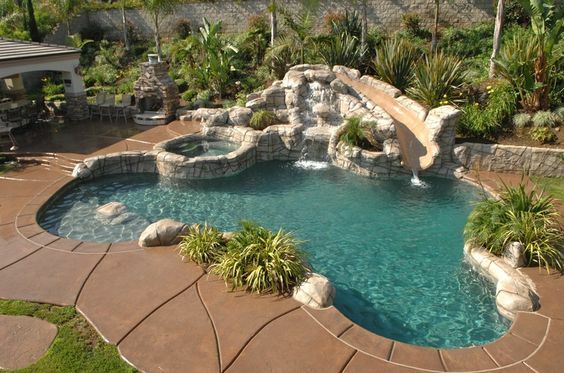 It offers the therapeutic sensation that will improve your healthy lifestyle very well. 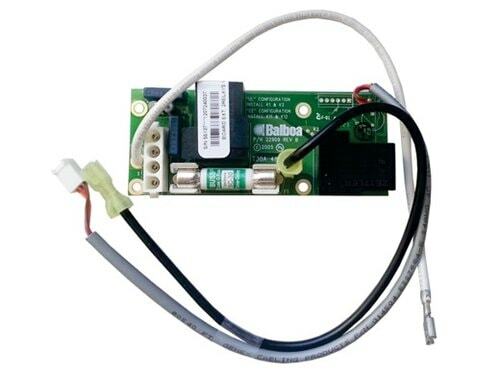 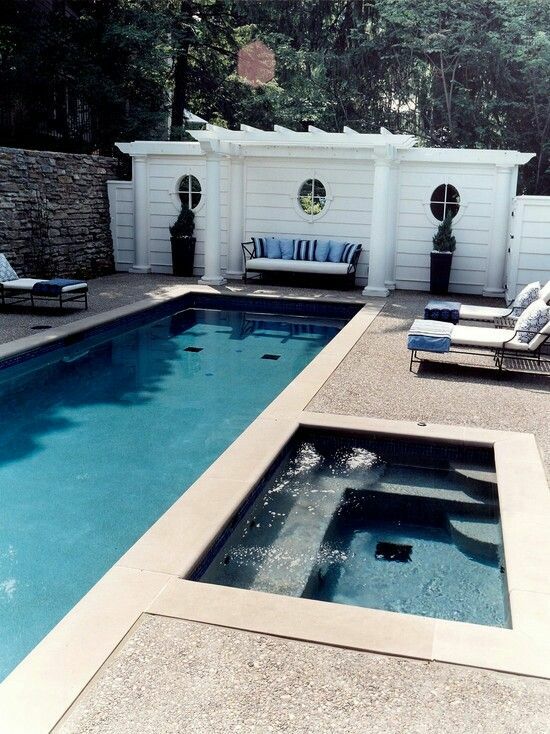 Another addition that can be a hot tub’s best friend is the swimming pool. 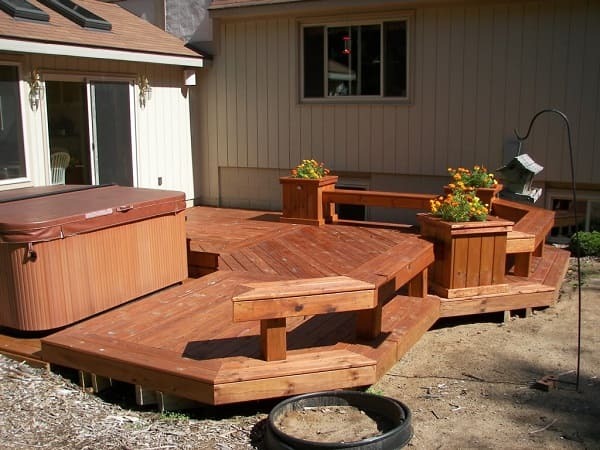 It’s a similar feature that you can consider adding to enhance the beauty of function of your outdoor living space. 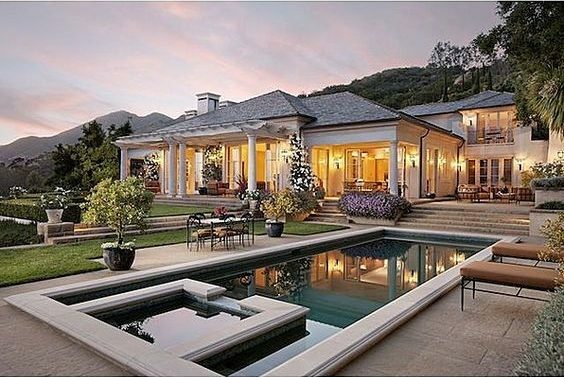 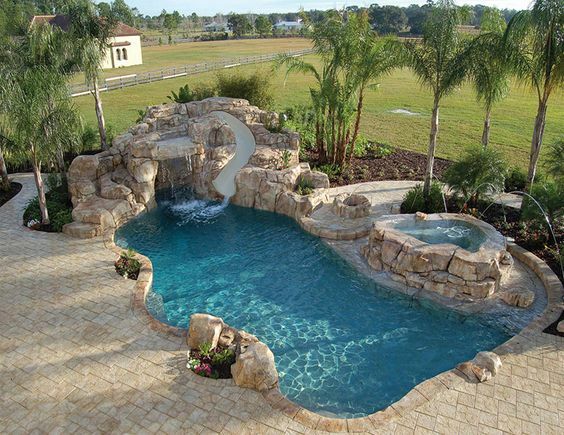 Just like a hot tub, a swimming pool also has lots of plus points that will make your home feel way more exhilarating to stay. 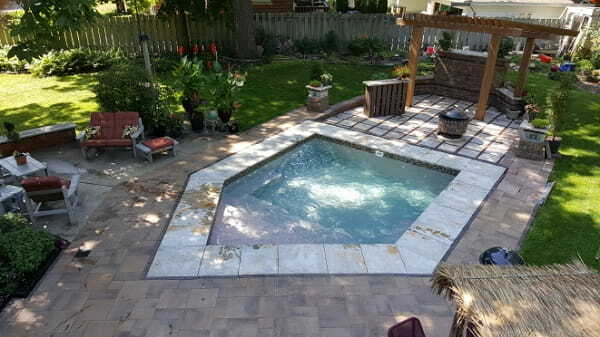 It’s a great spot where you can do some aquatic exercises or just simply have a fun pool time with your family and friends. 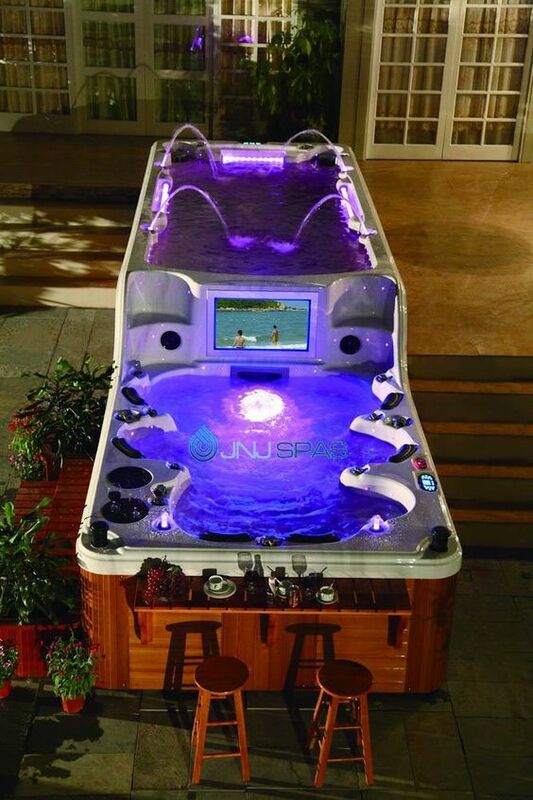 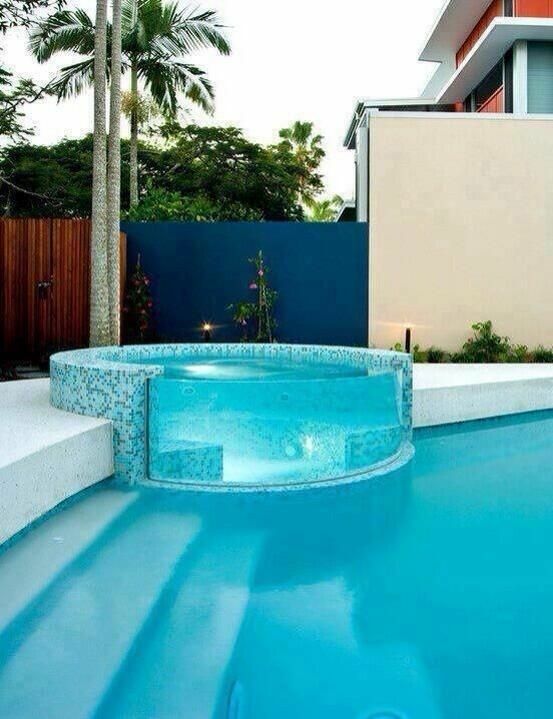 Why not combine the hot tub and swimming pool in one combo construction? 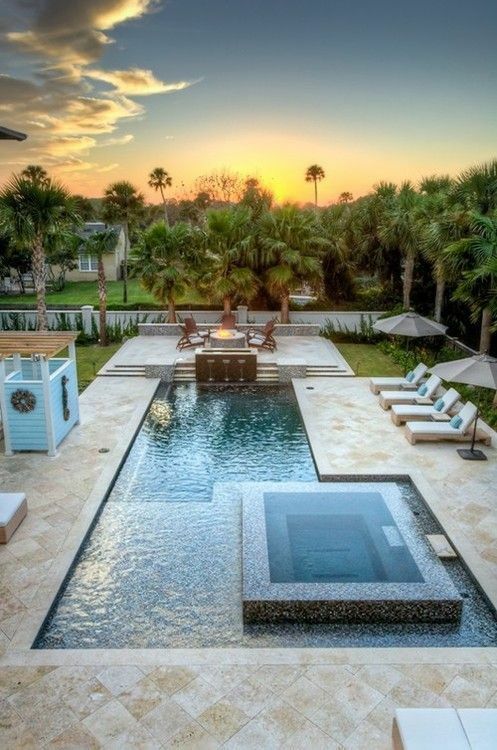 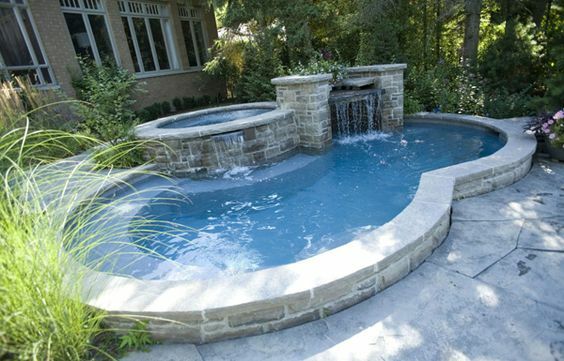 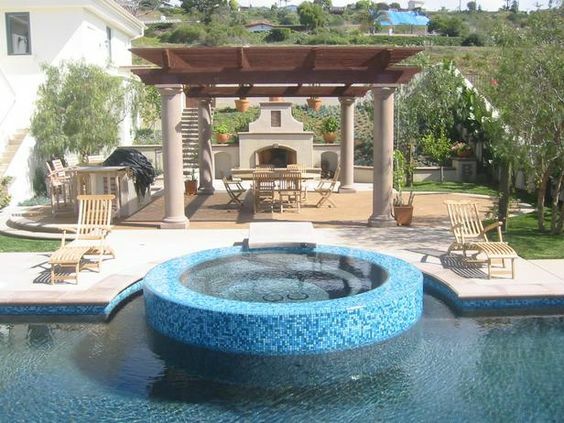 Yes, building a swimming pool with a built-in hot tub has become a popular trend which many homeowners choose to bring the style and function of their outdoor space to a whole new level. 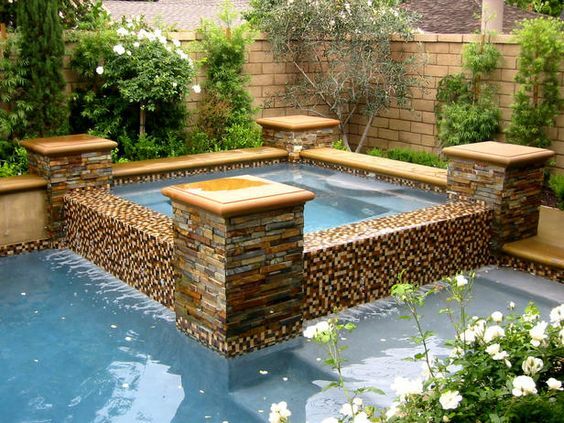 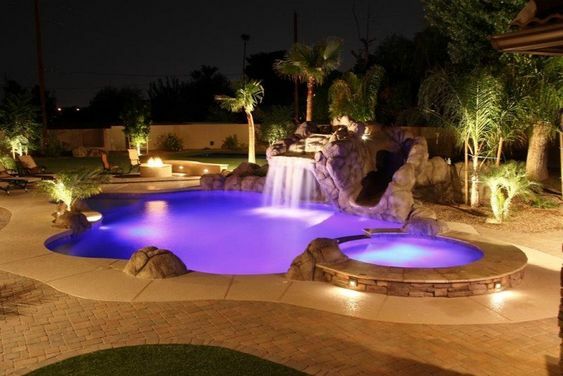 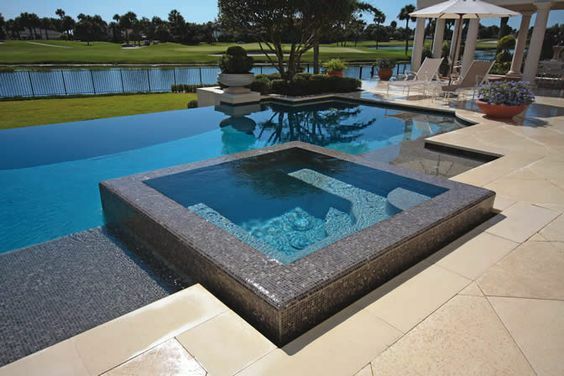 Here, we have picked dozens of mesmerizing hot tub pool design ideas which you can use for your ultimate inspirations. 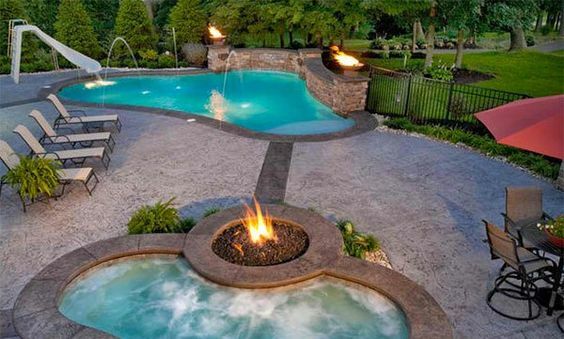 They look so awesome while providing two great benefits of a hot tub and swimming pool at the same time. 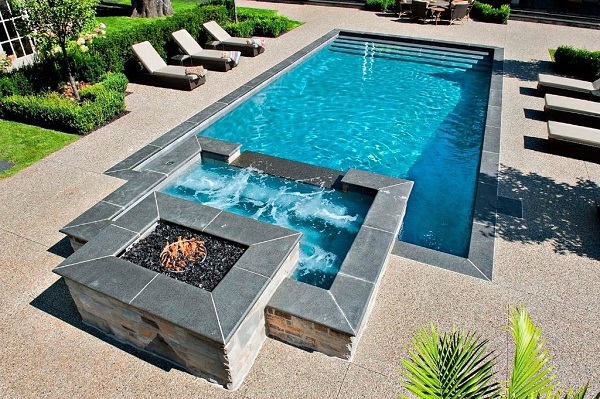 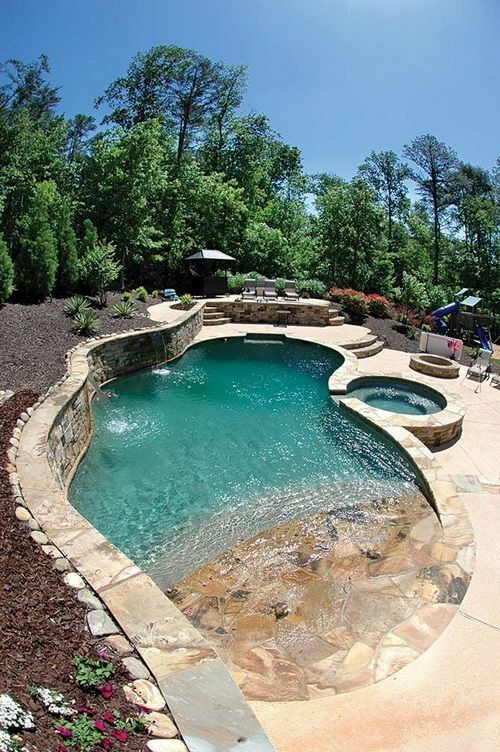 So, let’s just keep scrolling to check out our best picks of hot tub pool design ideas! 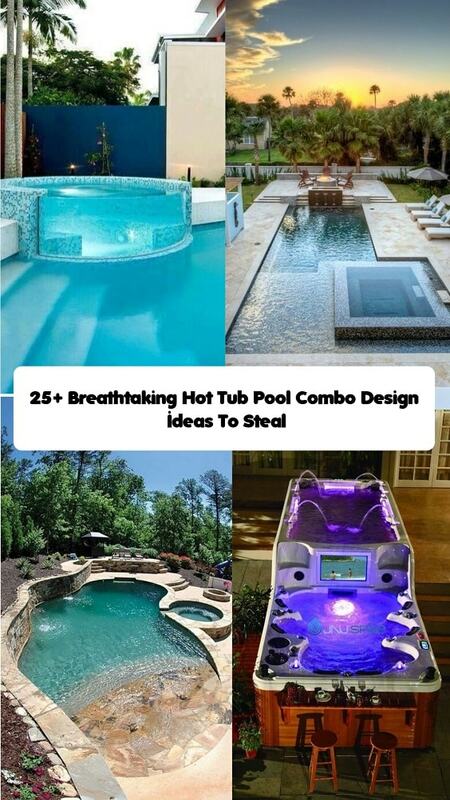 Eventually, those are some amazing hot tub pool design ideas which are so worth to include on your home improvement plan. 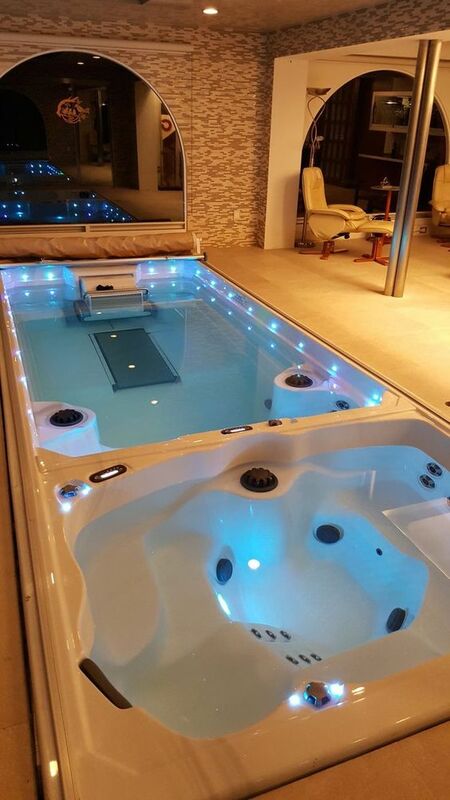 They are not only designed beautifully but also to give you the benefit of a hot tub and swimming pool in one spot in your house. 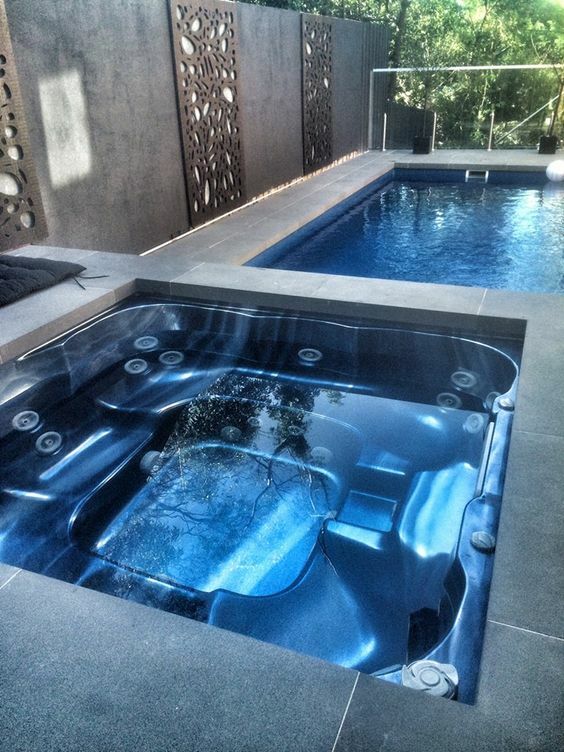 You can either build a swimming pool with a built-in hot tub by hiring a pro just simply purchase a swimspa. 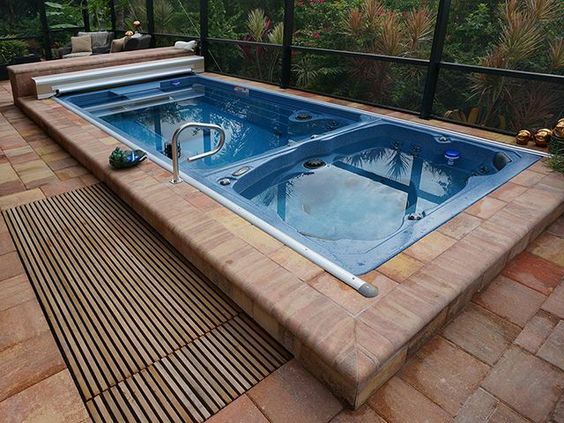 The obvious difference is that with the fabricated swimspa, you will just have a lap pool which is meant only for the exercising purpose without being able to swim around. 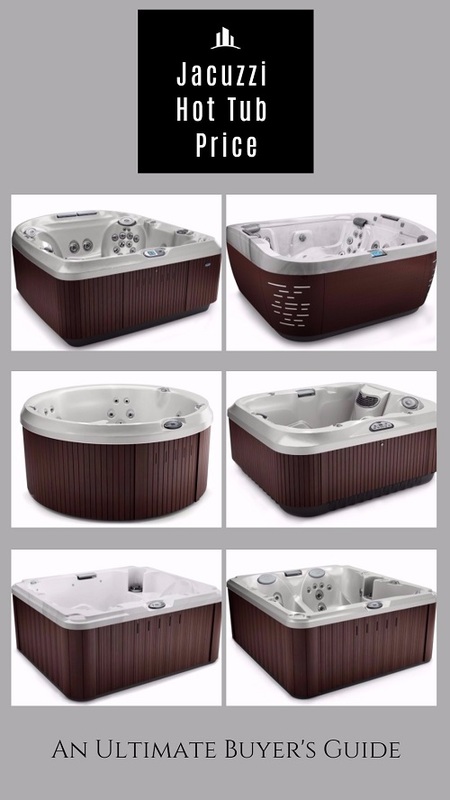 The choice is yours, which one really suits your needs, taste, and your budget. 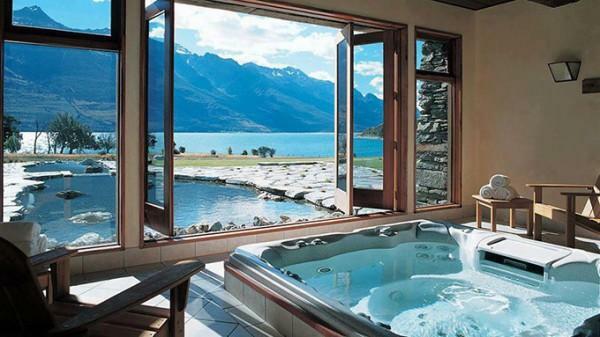 Have a fun spa pool time then!